A solitary goal by Redeem Tlang in the dying minutes of first half was enough for Shillong Lajong FC defeated Royal Wahingdoh FC in the Second Qualifier played on Friday at J.N. Stadium, Shillong. The defending champions ended the league stage at the top of the table with 33 points but suffered a 2-1 defeat against Rangdajied United FC in the first qualifier and will have chance for revenge as they will face them in the Final on November 9. The Reds were combining very well with each other and came very close to take the lead in the 15th minute of the game. Bipin Singh made a good run inside the box but the Wahingdoh defence was alert and thwarted any attempt on goal and cleared the ball for a corner. 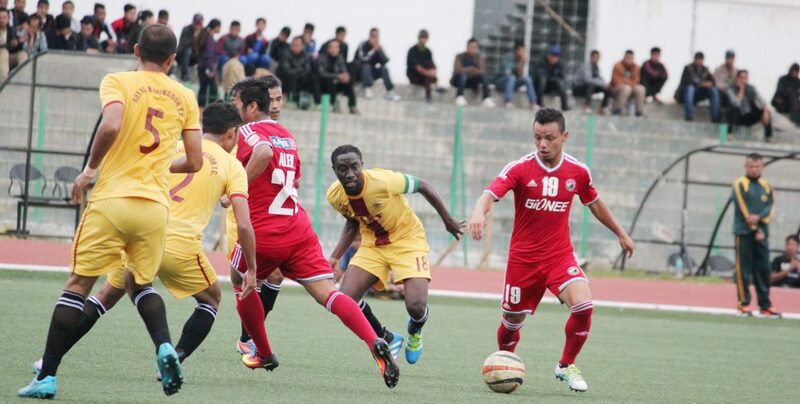 Royal Wahingdoh were not to be left behind and had their share of chances. In the 17th minute, Beekay’s powerful shot was punched away by the Lajong custodian , Phurba. In the very next minute, Lajong’s Alen Deory, made a very good run inside the box and tried to dribble past the Wahingdoh defence but was heavily tacked by the men in yellow. Redeem Tlang was then fed with a good ball outside the box but his shot went over the crossbar in the 35th minute. Lajong were looking very dangerous and had many chances in front of goal. They continued to press forward and were trying very hard to break the deadlock. Finally their efforts were rewarded when Pritam delivered a wonderful ball to find Redeem Tlang who made a good run inside the box and beat the Waingdoh defence to find the back of the net in the 45th minute of the game. Lajong went into the break with a 1-0 lead against Royal Wahingdoh FC. Two minutes in the 2nd half and Lajong were awarded a free kick but Jacob’s shot went straight to the keeper. Lajong looked even more energetic in the second session and were combining exceptionally well with each other. They got another free kick in the 48th minute but Isaac’s shot was punched away by the Wahingdoh keeper. Royal Wahingdoh FC got a free kick just at the edge of the box in the 70th minute and Beekay shot to the top left corner but the Lajong custodian did well as he saved the ball from entering the back of the net and denied Wahingdoh the equaliser. In the 74th minute, Lajong also got another free kick but Isaac’s shot was headed away by the defence. Wahingdoh had another chance to equalise in the dying moments of the match as they were awaded a free kick, but Bekay's shot went wide. 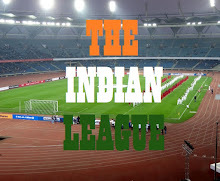 The referee blew his final whistle and Lajong won the match by one goal to nil. Shillong Lajong FC who won the Shillong Premier League last year defeating Royal Wahingdoh FC, will look to repeat their performance in the grand finale of the Gionee Shillong Premier League against Rangdajied United FC on November 9.